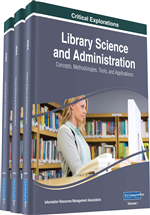 This chapter gives an overview of digital library topics: digital libraries and information architecture; digital libraries and electronic learning (e-learning); digital libraries and the Semantic Web; digital library evaluation; digital libraries and service quality; and the significance of digital libraries in the digital age. The Internet and the World Wide Web provide the impetus and technological environment for the development and operation of digital libraries in the digital age. Digital libraries comprise digital collections, services, and infrastructure to educationally support the lifelong learning, research, and conservation of the recorded knowledge. Whereas traditional libraries are limited by storage space, digital libraries have the potential to effectively store much more information and documents, because digital information requires very little physical space to contain them. Encouraging digital libraries has the potential to improve academic library performance and gain educational goals in the digital age. There has been little empirical research investigating the specific types of help-seeking situations that arise when people interact with information in new searching environments, such as digital libraries (Xie & Cool, 2009). Libraries effectively organize an essential part of academic institutions, enabling and facilitating the exchange and growth of information, knowledge, and culture among teachers, students, and the general public (Herrera-Viedma & Lopez-Gijon, 2013). Libraries have traditionally functioned as the repositories where the information content of a society is analyzed, organized, and stored, acting as a permanent record (Lanagan & Smeaton, 2012). Libraries are the central parts in the university and play significant roles in achieving the objectives of higher education (Haider, 2004).